First thing on my fall to-do list? Apple picking! 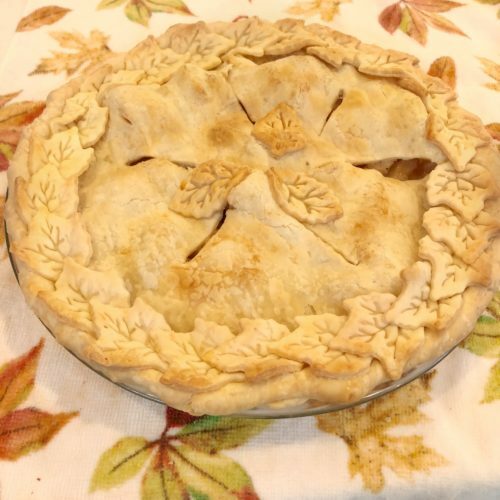 I do this every year and make a tasty apple pie with my freshly picked bushel. “Good apple pies are a considerable part of our domestic happiness” ~Jane Austen. Let’s be honest, Jane always says it best! 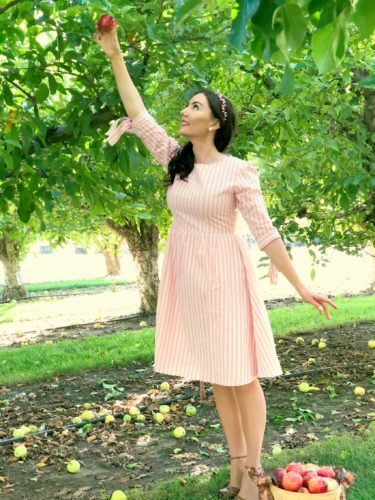 I had this quote in my head before I went apple picking and I decided to dress like a modern day Jane Austen heroine! My personal favorite Jane Austen leading lady is Emma Woodhouse. As most of you know, I’m not a jeans and t-shirt kind of girl, so I of course had to dress up. 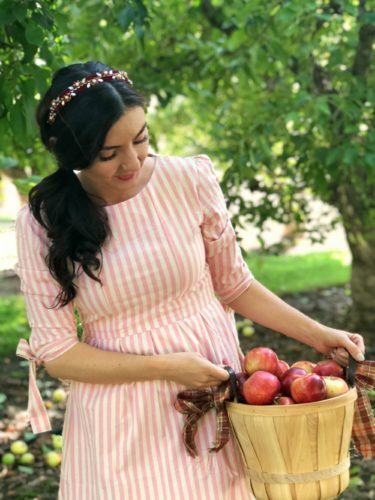 I chose this darling vintage inspired, striped dress from Shabby Apple. 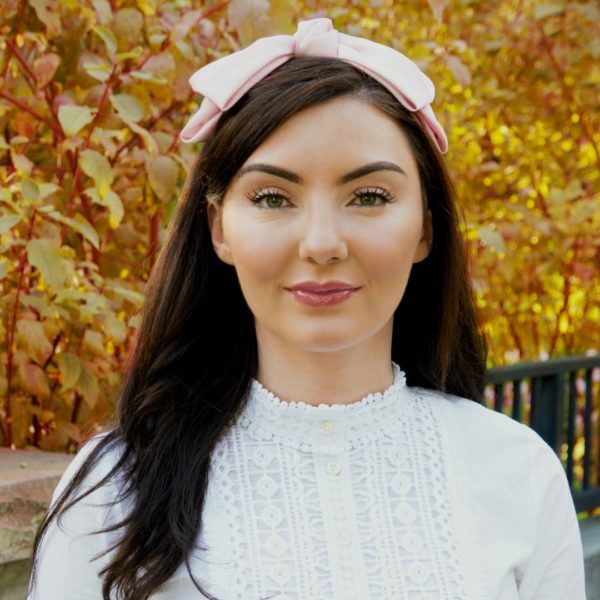 I added a little glam by adorning my hair with a glittering headband! 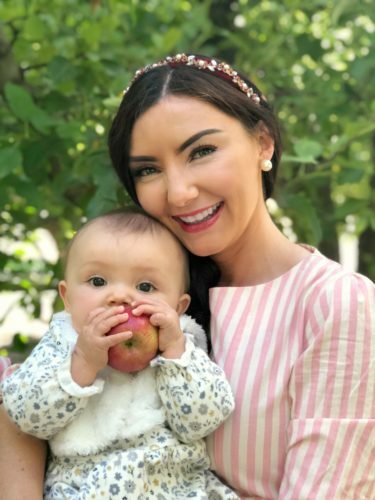 The best part of my apple picking day was when my Everly Verina Belle wanted to help! She was mesmerized by her shiny new apple “toy”. 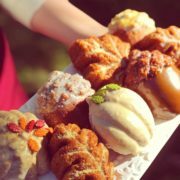 Fall Pumpkin, Pinecone, and Leaf Mini Cakes! This is such a cute dress girl!! I love the color. 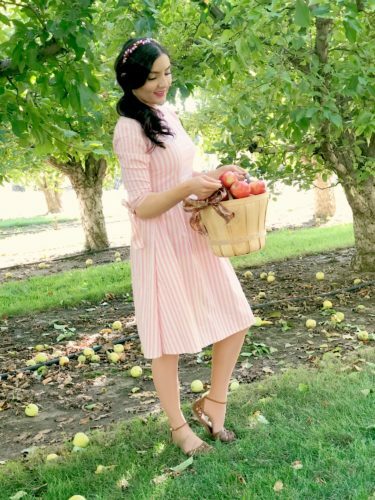 Apple picking is so much fun! This dress is absolutely beautiful on you! 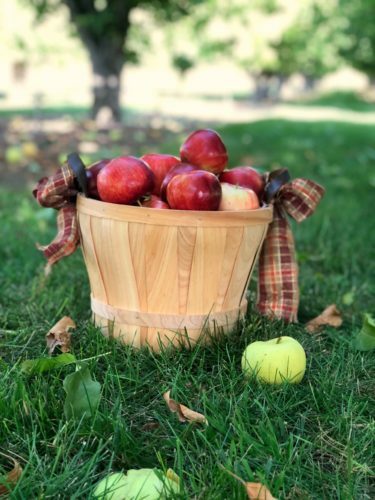 Your photos are making me miss apple picking, and apples in general, so much! I found out that I’m quite allergic to them, which was devastating because they used to be my favorite fruit! This looks like so much fun! I have always wanted to go apple picking. I love the outfit you wore too! You look gorgeous girl! I love your dress. So cute! I wish I lived somewhere that we had apple orchards, I’ve always wanted to go apple picking!